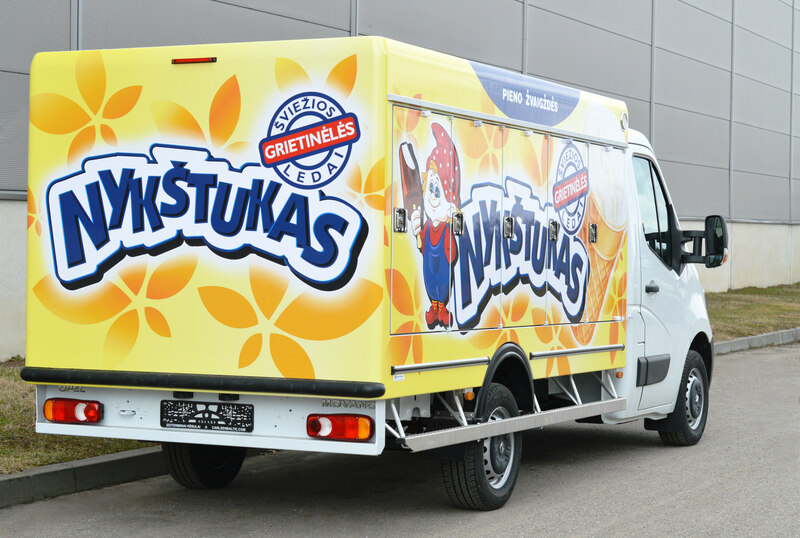 Freezer truck bodies are ideal for ice cream and frozen food distribution. 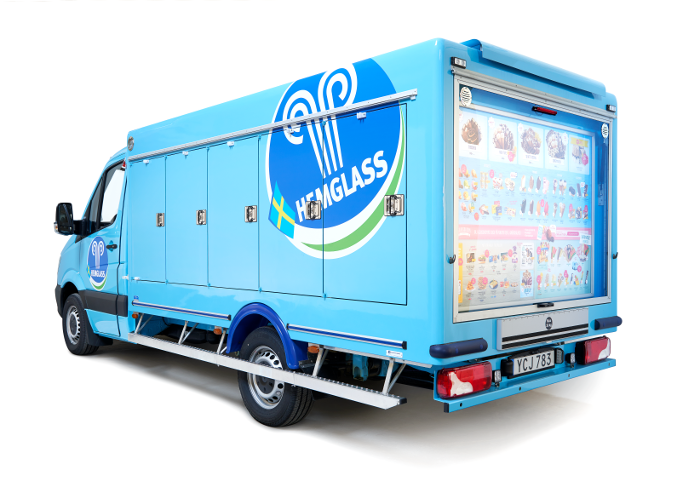 All refrigerated bodies are equipped with eutectic refrigeration system which is an eco-friendly, reliable and maintenance-free alternative to conventional cooling systems. 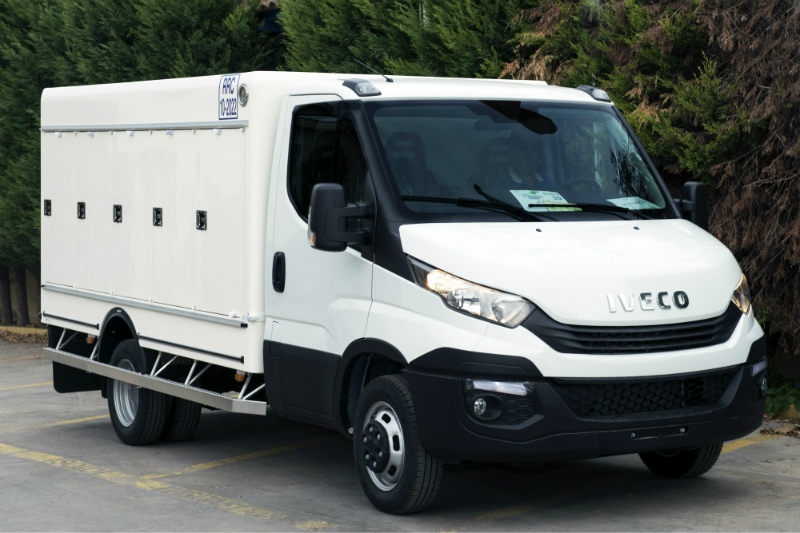 Lightweight body design provides a class-leading 1,100 kg payload on a 3,500 kg vehicle. Our bodies feature multiple compartments, each equipped with LED lighting and adjustable aluminum shelves. 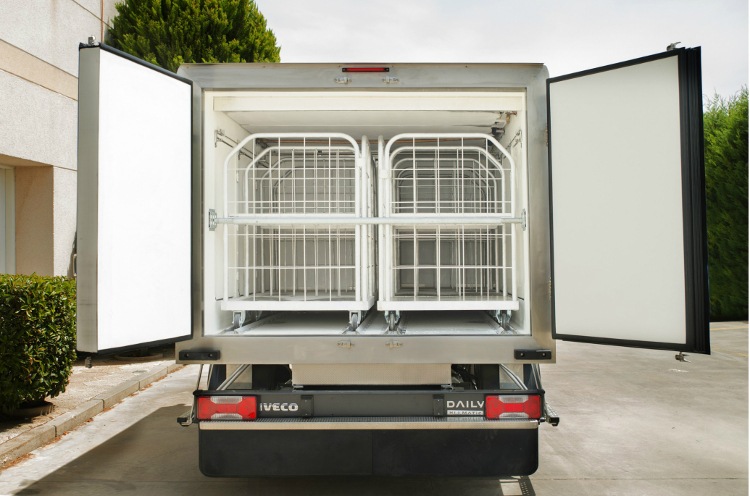 Side doors, symmetrically placed on both sides of the body, allow an easy access to the specific product range and a better temperature stability during multi-drop operations.